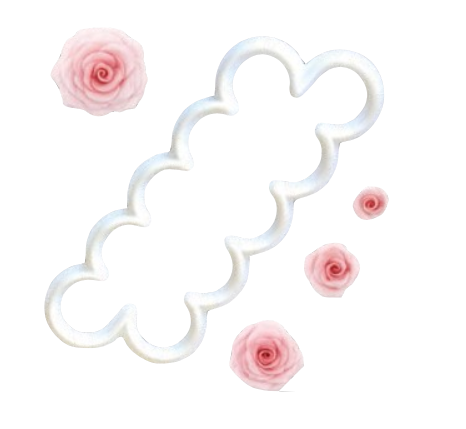 We are really excited about the new small and large Easiest Rose Cutter Ever by FMM, now available from our Cake Decorating Shop, Knowle, Solihull, West Midlands. The cutter has been designed to make the easiest and quickest sugar roses ever! The best paste to use is a mix of 50/50 sugarpaste and modelling paste kneaded together. Dust your work surface with cornflower using the FMM Dab-a-Dust and roll out the paste 1-2mm thick. 1. Cut out the paste, place on a FMM foam pad and thin around the edges with the end of a small rolling pin or FMM ball tool. Dab with more cornflower if needed. 2. Brush a line of edible glue the length of the paste just above the center line. 3.Fold in half and press firmly along the fold. Brush another line of edible glue along the bottom edge. 4. Start rolling tightly form one end to create the center of the rose, keep rolling, shaping the petals as you go. 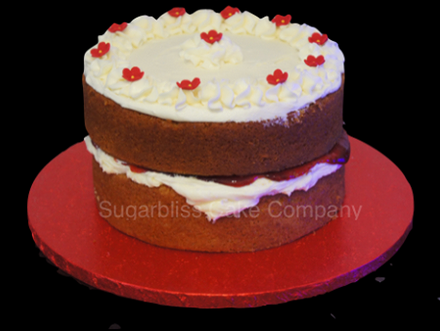 We have just added new for 2016 our delicious Sugar Free cake to our extensive range of cake flavours. Our new Sugar Free Sponge cake is completely Sugar Free and tastes fantastic. Although plainly decorated to ensure our cakes are completely sugar free, these cakes can look just as good as they taste. We will be soon be offering our new Sugar Free cake Flavour in additional flavours which will be available along side our dietary cakes, eggless and gluten free cakes. Our Sugar Free and celebration cakes are available to order Monday To Saturday from our Sugarbliss Cake Shop. Loving Everything To Do With Cake Baking! 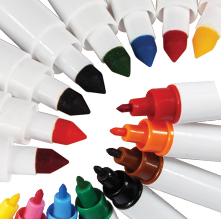 Our new range of Colour Splash cake decorating edible pens are really easy to use for personalising and adding unique finishing touches. Each pen has 2 sides with a thick and a thin nib for writing, colouring and adding detail to cake decorations. Available in a great value pack of 8 or single colours and include orange, brown, red, black, green, blue, pink & yellow. Our range of edible cake decorating pens are now available online or to purchase from our Cake decorating & Supplies Shop, Knowle, Solihull, West Midlands.